Thank you to Act-On for underwriting CXOTALK. Every marketer faces the challenge of using data to create personalized customer journeys and create a compelling relationship with prospects and buyers. The Chief Marketing Officer of SimScale, Agata Krzysztofik, chats with CXOTALK industry analyst, Michael Krigsman, to share her practical tips, tools, and secrets for making this happen. She is an active CMO with much experience weaving together tools such as Google Adwords and Act-On. Michael Krigsman: I’m Michael Krigsman, an industry analyst and the host of CxOTalk. 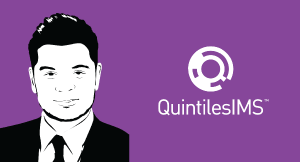 I’m speaking with Agata Krzysztofik, who is the Chief Marketing Officer at SimScale. Hey, Agata, how are you? Agata Krzysztofik: Hi, Michael! I’m great! I’m really happy to be here! Michael Krigsman: Well, thanks for spending the time! And, please, tell us about SimScale. Agata Krzysztofik: SimScale is the world’s first cloud-based engineering simulation used for virtual prototyping. Michael Krigsman: I know you’re trying to disrupt the computer-aided engineering market, so tell us what you’re doing there. Agata Krzysztofik: That’s right! Today, only one out of twenty-five engineers who could benefit from simulation has access to it. Our goal is to reinvent engineering simulation as a standard tool used by every engineer and designer who could implement it as part of their product development processes. Michael Krigsman: And of course, a big part of that, for you, is putting CAE software into the cloud, whereas historically, it was all on-premise. Agata Krzysztofik: Yes, we are the first company that did that, and that way we’re also breaking the current barriers of traditional simulation software by making it more accessible, cost-efficient, and also breaking the know-how barrier. Michael Krigsman: So, what are your marketing goals? Agata Krzysztofik: We have many different marketing goals. I also own the community area, so not only marketing. That's why the goals kind of spread across to different areas. For marketing, it's to double the number of professionals adopting SimScale by the end of this year. When it comes to the community, we want to grow our existing SimScale community into the largest engineering community in the world, as well as the cloud-based projects library, to the largest simulation template library in the world. Michael Krigsman: So, as you try to scale, you’re relying very heavily on data to help with this? Agata Krzysztofik: Yes, that’s correct. We are a very data-driven company, so we track a lot of different metrics. We follow the AARRR framework, which is known as the Pirate Metrics. It stands for acquisition, activation, retention, referral, and revenue. For each of these areas, we have different metrics mapped to the area that we are tracking. So, for example, for the acquisition, which is very important for the marketing department, we are tracking conversion rates and marketing qualified leads, organic traffic and many other metrics as well. 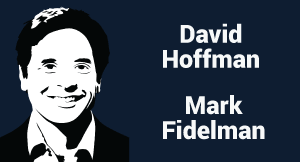 Michael Krigsman: How do you think about the personalization of the customer journey? I know that’s another topic that’s of keen importance to SimScale. Agata Krzysztofik: It is very important for us to personalize both the user support, his experience, and to guide the user through his use journey within the platform. And, that’s why we also gather the data during the onboarding process, which the user provides us with. And, we ask the users to evolve their experience level, assimilation, from which industry, they’re coming from … Or, if they’re using SimScale as professional users or economic users. Based on this, we also personalize their experience like, for example, with emails. We are sending a different set of emails. There’s a completely different track for someone who is an academic user from someone who is a professional user. And the same, the emails are adjusted to their experience level. We do this for emails, but also, for example, in adverts and in many other different areas of marketing. Like for example, in adverts, we use dynamic landing pages so for every single campaign that we have and for our most important keywords, we have dedicated landing pages. And that way, we make sure that if the user is searching for something, when he clicks on the ad, he actually gets the information that he was looking for. Michael Krigsman: And, are you using just the data that comes up when they register or are there other kinds of data that you're mixing into this as well? Agata Krzysztofik: We are mixing the data. So, some of the data are the ones provided during the registration. There are also some behavioral data that we get, for example, from Act-On or from the behavior and interactions with emails. And we also use a lot of aggregated data, like, for example, in Google Analytics, so it’s not the data that is mapped to a specific user, but the more aggregated view. This helps us, for example, to understand the impact of each of our acquisition channels. So, we are really tracking how each channel contributes to our main marketing goals. For example, for us, it’s very important to measure and we track success with marketing goals like leads. And we are able to know which of the channels are generating the highest number of marketing goals like leads. We split up by organic traffic, by adverts, by emails. Thanks to this, we, for example, could measure really what we did well. Like a year ago, my jury of our marking-qualified leads generated through page channels like adverts. This year, 79% are generated through nonpaid channels, so it is a huge difference, and a really good success for us as well. Michael Krigsman: That’s an incredible change! You are using a variety of tools as well. How do you weave these tools together? Agata Krzysztofik: Yes. For us, when we are deciding for a new tool, it’s very important that the tool is integrated with the other tools that we are already using. A good example is Act-On. When we are deciding for a marketing automation tool, it was very important for us that it wouldn’t just be an email marketing tool, but a robust solution that would integrate with all the other existing tools and that would allow us to fully leverage the potential to track the data properly as well. Act-On is integrated with Google Adverts, with Google Analytics, with our API, with Microsoft Dynamics, and all of those tools are the ones that we were actually using before. And, by going with the solution, we were able to ensure that we would fully powerfully use that tool as well. Michael Krigsman: You're sharing data among all of these tools in order to understand what's going on with your customers and to personalize based on where they are in the buying cycle or the usage cycle of the product? Agata Krzysztofik: Yes, and that way, we can also make sure that [garbled…] the experience that we deliver is the best that we could offer. We also can share information better across the department. That was the problem that we had before we had all of these tools in place; that often there was a lack of information in terms of the performance of specific emails we could read, to A/B testing, which is an important thing for us as well, because it was very hard to share this information between product marketing, and sales. With the tools like Act-On, for example, we are sending a lot of information between sales and marketing. We can make sure that also, we communicate with a specific customer and his needs, and we can react fast enough if the user has specific problems. Michael Krigsman: Well, the results you’re getting are pretty amazing, as you were just describing. What are your future plans for marketing and how are you going to be using data to do this even more, and to do a better job at all of this? Agata Krzysztofik: Yeah, we already right now have a lot of dashboards we’re using that have Power BI for all of our dashboards, but we are never satisfied. We always think that we could do more and better. So, one of the things that we would like to use more is lead profiling and also make A/B testing a business as usual. Michael Krigsman: Fantastic! Well, Agata Krzysztofik, from SimScale. Thank you so much for taking a few minutes with us! Agata Krzysztofik: Thank you as well! It was a pleasure! Personalization is the future of healthcare. New technologies such as artificial intelligence, virtual reality, blockchain, and wearable devices -- all connected in the cloud -- are making possible the democratization of diagnosis, medical knowledge, and patient care. This episode explores the near-term future of healthcare, in which with every stakeholder, doctor, pharmacist, payer and patient receives the personalized information they need to make better informed decisions. Corporate marketers today must understand how to create and promote video. Our show this week brings together a documentary filmmaker with a top influencer marketing expert to explore the new world of video content. General Electric is 135 years old employs 330,000 employees in 175 countries. GE is undertaking a massive transformation to be a digital industrial company, focusing on the "internet of really big things." 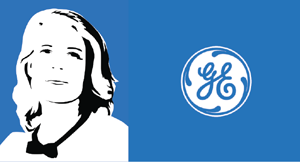 In this episode, CMO Linda Boff shares GE's story and explains digital transformation at this American corporate icon. 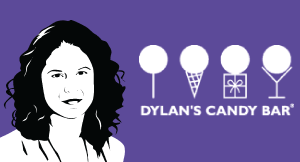 Dylan’s Candy Bar is building an integrated and consistent experience through all its channels, based on heavy use of technology and personalization.